Chavagnes International College, a Catholic boarding school for boys located in Chavagnes-en-Paillers in western France (near Nantes), will host a conference entitled “The Virgin Mary in Liturgy, Literature and Life,” from August 1-5, commemmorating the 300th anniversary of the death of St Louis Grignot de Montfort. The keynote address by Bish. 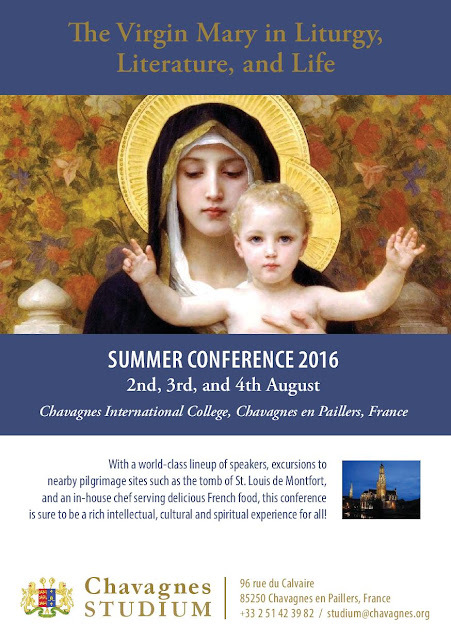 Athanasius Schneider is on “The Blessed Virgin Mary and the Defence of the Faith”; Chavagne’s principal, Mr Ferdi McDermott, will talk about “Mary as the Air that We Breathe; the Legacy of St Louis de Montfort.” Click this link for the full program; to request further information, email: studium@chavagnes.org, and see the school’s website here.